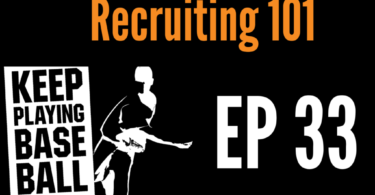 We are back with the latest update to our base running series. Last time, we shared what you needed to think about after putting the ball in play. This week, we address developing a way to systematically eliminate base running errors once you are on base. This is done by following a specific protocol, set of rules, or check-points. 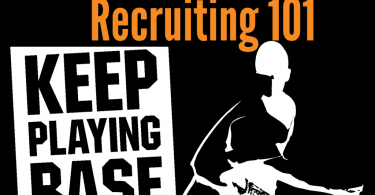 We call having a set of base running rules that you can commit to memory and follow every time you are on base a “base running system.” Having a base running system will not only eliminate unnecessary errors on the base path, it will also take some of the thought out of base running and allow you to focus all your effort on reading the play and reacting. 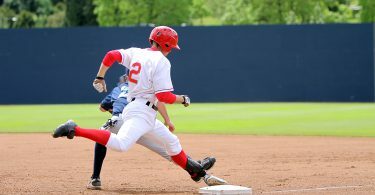 Most teams have a base running system in place that everyone on the team follows. The system develops one uniform way of doing everything from taking signs to the footwork used when taking a lead from each base, and much more. 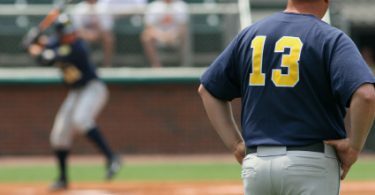 Uniformity allows players and coaches to easily see where mistakes occur, and ensure that everyone learns from the mistakes of others, and base running errors are not repeated. 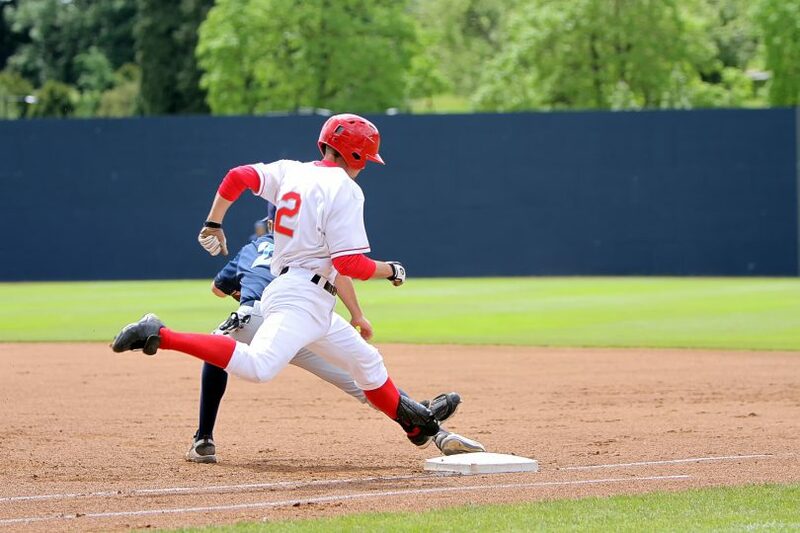 If your team does not have a base running system, you should develop your own so that you can be consistent in the way you do things on the bases and not leave anything to chance. Of course, we are not going to just leave you to develop a system on your own. Below are some common protocols used by college programs when instructing their players to take signs and primary and secondary leads (see the definitions of these terms at the end of this post). 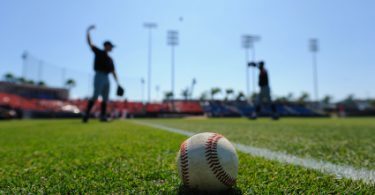 Before reading about developing a base running system below, we suggest you take a look at some of the base running universals we discuss in Part 1. These are rules that apply to every base running situation and should be part of your base running system. The following definitions will provide context for elements of the system described below. Primary lead is the initial lead you take before the pitcher delivers the ball to home plate. This lead may be lengthened or shortened before the pitch is made. Secondary lead is the extension or momentum you get once the ball is delivered home. It is usually two lateral shuffles, or a crossover step and a lateral shuffle. Take the sign from the coach while on the base. Before stepping off the base, you ALWAYS need to know where the ball is. Primary Lead: Take your base lead (see definition above). Extend or shorten from there according to the pitcher, situation, etc. When taking your primary lead, you should always use the same footwork. This will give you consistency in the distance you get off while in your “base” or regular lead, and will also allow you to put in safe guards to eliminate getting caught off guard with quick pick offs. Secondary Lead: Make sure your secondary lead puts you in a position where your feet land on your last shuffle as the ball is entering the hitting zone. When your lead foot lands as the ball enters the hitting zone, you can make a read on the ball as your foot lands, and react to the batted or caught ball in a seamless transition. If your secondary ends too early, you lose your momentum. If it ends too late, you will still be in motion and unable to react to the unfolding play right away. This hesitation can be very costly. When it comes to your secondary lead, remember that momentum and timing are everything. You may have to delay your secondary (especially at the corner bases) so that you can have the appropriate timing and not get caught too far off the base. Delaying your secondary will also guard against balk moves when you are not stealing. It is up to you to delay your secondary lead the appropriate length so the timing with the lead foot and the ball entering the hitting zone is right. A lot of it will depend on the delivery and velocity of the pitcher. If the ball is secured by the catcher, you should develop a number of hard steps you take to get back to the bag. If you take 2-3 hard steps back to the base once you see the ball secured, you should never get back picked so long as you take an appropriate secondary. If on your 2nd or 3rd hard step back you see that there is no play, you can ease back to the base, watching the ball the whole way. If there is a back pick, you are in a good position to dive back to the bag. The hard steps back should come once the ball is secured by the catcher. It should never be assumed that the catcher will catch the ball. 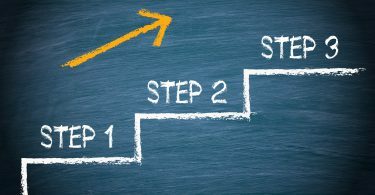 Follow these 6 steps and you are well on your way to developing a successful base running system. It should be noted that footwork for leads and distances of primary and secondary leads will be different for each base, with the largest primary and secondary leads generally coming at second base due to the longer throw required on a back pick. Situation by situation, all of these distances will be different. Check back in with us next week as we continue our base running series by talking about reading pitches in the dirt.